We’ll be bringing an awesome array of incredible crafts to Hawarden Estate Farm Shop. Join us for hour long workshops that are guaranteed to be lots of fun and leave you with some beautiful, handmade keepsakes. On certain dates throughout the year we invite a number of local makers and producers to our outdoor market stall to sell their wares. Come along and discover something new! Led by the Kiddy Cook team, head out to the growing patch, learn about vegetables and the growing process before going back into the Farm Shop to cook up your lunch using what you have just picked. A real farm to fork experience. Kiddy Cook inspire young people to have fun with food and help them make informed choices towards a healthy lifestyle. 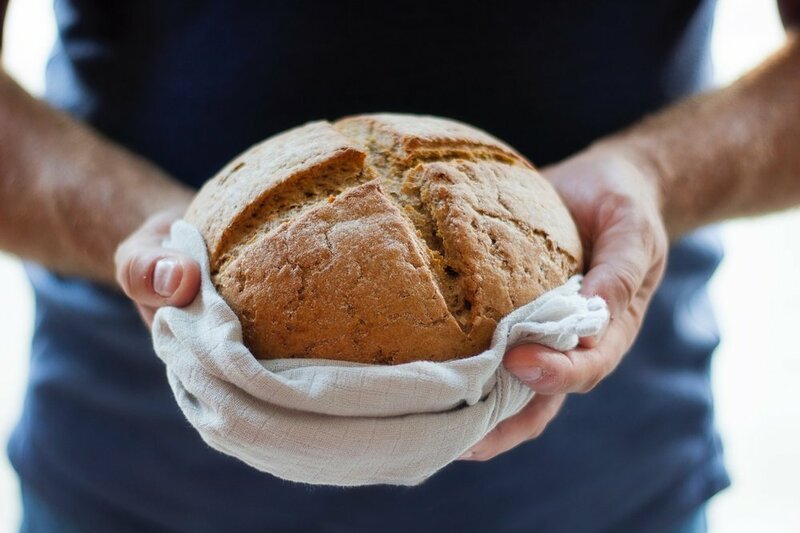 We deliver cookery workshops in schools and host classes and parties for preschoolers, children and young people across the UK. £15 per child. Ages 5-12. Please get in tough with manager@hawardenestate.co.uk with any questions or for advice relating to food allergens and intollerances. After a series of successful evening workshops here at the Farm Shop we are excited to announce a silver jewellery workshop with Francasca of Anuka. 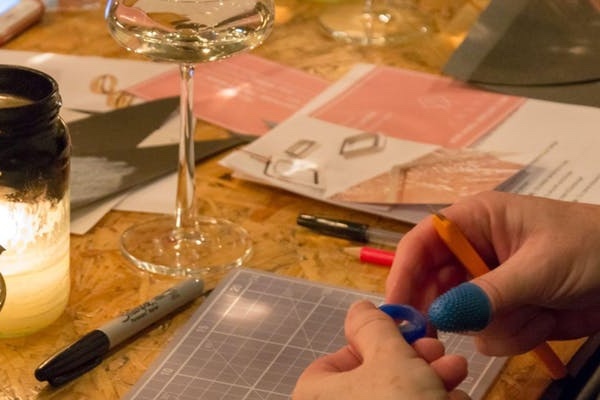 Anuka is an ethical jewellery brand that creates contemporary collections and bespoke commissions alongside running jewellery workshops perfect for any event or party. Anuka's workshops are creative, relaxed and a perfect group activity. You will be guided through the techniques involved in wax carving along with the lost wax casting process. The finished carving will be transformed into solid silver and polished by hand returned to you 3 weeks later, packaged, pretty and ready to wear! Shinrin-yoku (which translates to Forest Bathing) has captured peoples attention everywhere. In Japan it is widely used as a preventative medicine for its beneficial effect on our wellbeing. We know instinctively that spending time out in nature is good for our soul, but now research into Forest Bathing is proving our gut feelings to be true. Join us for a morning session of relaxation techniques, meditation, earthing and nature connection, with the aim of giving you a range of techniques which you can take away and use in your own time enjoying the outdoors. "Un-wind, de-stress, relax, turn off your phone and plug in to nature." 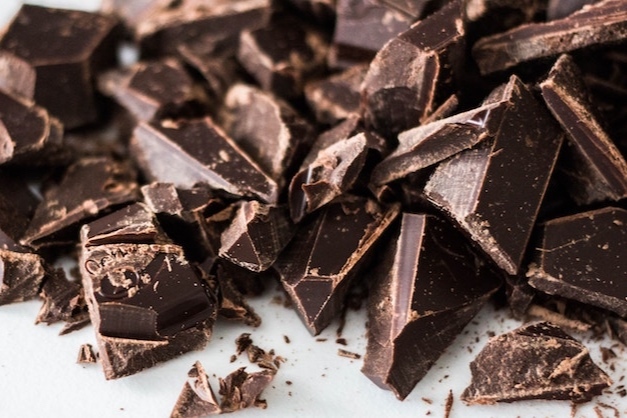 Stress is one of the leading cause of disease in this country so any ‘therapy’ that addresses this issue is going to be beneficial to our health. Forest bathing has been shown in scientific studies to activate the parasympathetic nervous system, this is the system that is responsible for rest and digestion, allowing the body to be in a state of calm where it can perform various tasks of repair. The bodies self-defence mechanism is activated and disease fighting cells have been shown to increase when we spend time in nature. We can see a reduction in blood pressure after only 15 minutes of Forest Bathing. We've had great feedback from previous workshop participants. One student was overjoyed that after a session of Forest Bathing her Fitbit was showing the lowest heart rate ever recorded since she’d been wearing it! During the session you will also be introduced to the practise of Earthing, which is having direct contact with the earth itself through barefoot walking. This has proven health benefits including a reduction in inflammatory disease, improved sleep and increased energy levels. “The basic concept behind nature therapy is to increase physiological relaxation and act as a preventative medicine by improving the body’s natural resistance to disease, which is supressed under conditions of stress.” Prof. Yoshifumi Miyazaki, author of Shinrin-yoku: The Japanese Way of Forest Bathing for Health & Relaxation. The session will include; meditations, barefoot walking (earthing), sit spots, mindfulness exercises, nature awareness and wild teas enjoyed around the campfire. All this will take place in the grounds of the Harwarden Estate against the backdrop of the woodlands, orchards and fields. “Shinrin-yoku”, which can be defined as “taking in the forest atmosphere" or forest bathing, has been receiving increasing attention in Japan in recent years for its capacity to provide relaxation and reduce stress. Scientific studies have shown certain stress indicators, such as cortisol levels and sympathetic nervous system is lowered when time is spent in a forest as compared with an urban environment. "I am a firm believer in the power of nature to be therapeutic for everyone. My training as an Counsellor worked toward my long-term goal to incorporate nature therapy into my services. I am passionate about finding ways to increase the self-esteem of people and encouraging motivation through positive experience, shared enthusiasm and a nurturing environment." KAY RIBBONS-STEEN is a qualified Forest School Leader, Social Forester and has worked for a number of years in eco-therapy having trained as a Mindfulness in a Woodland Practioner. Kay stuided a work based diploma in Environmental Conservation with Flintshire Countryside & Coast Service. She is also an Ambassador for the National Autistic Society, and an autism awareness speaker. "I am passionate about reconnecting people with nature, improving wellbeing and having a positive impact on the environment. Together with Barking Mad Pet Care, we are planning a day full of fun for you and your four-legged friends. There will be stalls, activities, a fun dog show and more, for everyone to enjoy. The fun dog show categories will soon be announced giving everyone time to practice. There will be a small fee to enter with each participant receiving a goodie bag and all proceeds raised on the day going to a brilliant cause; Dogs for Good. If you would like to attend the day with your company, please get in touch. Hawarden Old Castle will be open on Sunday 19th May. An introduction to foraging for wild plants in spring that can be used in the treatment of common ailments. So many plants that are considered “weeds” can actually be harvested to create effective home remedies. You’ll learn to identify a range of plants and come away with your own honey elixir and immune boosting spring tonic and hedgreow syrups. We will also make our own fresh, herbal teas and everyone can take away foraged plants to dry at home. This course is aimed at beginners to plant-based medicine and Mindfulness in nature. No prior knowledge or experience required. All this will take place in the grounds of the Harwarden Estate against the backdrop of the woodlands, orchards and fields. This session is suitable for anyone over the age of 18. The class runs for 5 hours, from 10am until 3pm and costs £55 per person. This price includes all materials for making your natural medicines including; alcohol (vodka), honey, cloured elixir jars and colured tincture jars. Refreshments are also provided but do bring your own packed lunch or heat something up on our campfire. Hawarden Old Castle will be open on Sunday 16th June for Father's Day. Another fun hour of chocolate creation here at the Farm Shop with Amanda from the Cheshire Chocolate Studio. This workshops is open to children from aged 4 and their adult companions. Make a chocolate lollipop (heart lollipops will be available! Adults are welcome to join in when they purchase an adult ticket. Alternatively you can watch your child or leave over 5s and enjoy some free time in our cafe and Food Hall. 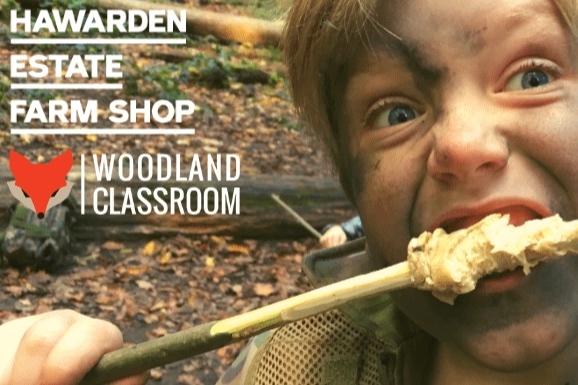 A whole day of survival skills and bushcraft fun for kids this Easter school holiday. We will be at Hawarden Estate Farm Shop to host a day of adventures in the woods, inspired by Bear Grylls' recent kids TV show. Kids will have to choose which few precious items to take into the woods, discover which plants and trees could help them survive and learn to use sharp tools to craft useful items. There will also be our bushtucker challenge (optional for kids) where we'll be tasting all sorts of weird snacks including edible insects! If your kids have enjoyed our Wildcraft Adventure™ and wanted to take their bushcraft skills further, then this event is the one for them. Finding water, building shelter, making cordage - we'll be taking kids through all the essential skills for survival, all in the name of fun of course. They will also get to try their hand at the ancient art of fire by friction! They'll learn skills from our ancestors that will come in handy next time they find themselves dropped on a desert island... or perhaps on their next family camping trip. We will be cooking some snacks on the campfire as part of the activities, but children should bring their own packed lunch too. Drinks and shelter will be available throughout the day - your kids' needs and comfort are important to us. Places are limited, so book early to avoid missing out. Tickets are £37 per child and £33 for each additional sibling. For our Survival School events we host a smaller group of kids so that we can give your child more direct attention and quality tutoring, hence the ticket price is slightly higher per child than our Wildcraft events. Parents don't stay with their children during this event. Our forest school activity days are all supervised by trained and experienced staff… that’s us. If your child has special needs that you feel would require a parent or guardian to stay with them for the day though, we would advise getting in touch with us in advance of making a booking and we'll see what we can arrange. We like to be as inclusive as we can. Tickets can only be purcahsed via our woodland classroom.com website. We've bringing our video game inspired activity day to Flintshire for the first time ever this Easter holiday! In games like Minecraft and Fortnite players have to survive in a hostile environment; build their own house, hunt for their food, search for materials and fend off wandering monsters. Sure, your child can survive in the ‘wilderness’ on the computer screen, but can they do it out in the real woods? In our unique outdoor game kids have to work together, using what they know from video games, to learn outdoor survival skills and earn points along the way. We're getting kids offscreen and outdoors! Tickets can only be purchased through the woodlandclassroom.com website. There is a link above on the top of this page which will take you straight to our Events page. The expert team from iZorb are bringing a full selection of inflatables and zorbs and inflatable assault courses to the Farm Shop for some serious Easter weekend fun. It's a family event aimed at all ages, so come along and try out forward flips, backward rolls, and crashing into others, all the while safely encased in a giant plastic ball. This Easter Saturday, Catherine and Lou will be hosting a pop up craft party with Lots of EGGXCITING facepainting fun! Facepainting by Catherine and Lou’s Awesome Arty Party will be hosting an event this school holiday where your little ones can get crafty and have an Easter facepaint all under one roof! Lou will be doing some awesome Easter craft, where your little ones can really go to town and explore their creative talents on a big scale. Booking is now open for a day of Easter Crafty Fun at Hawarden Farm Shop! ...... You are invited to come along for Easter Eggstravaganza themed crafts! There will be three fab activities for the little ones to work around and include a mixture of exploring, sculpting, colouring, creating, cutting and sticking. Guaranteed to get the imaginations flowing for lots of crafty fun! Activities are tailored to suit children aged between around 2 years and through to 11 years (must be accompanied by an adult). The crafts will take approximately 45 minutes - you will receive a goody bag of fab activities to work around at your own pace! - Price includes all accessories, sparkles, overalls and your little ones makes for them to take away and be proud of! First child price is £7 per session and can be booked online. Ages: 18+, 16-18yrs on application (please message). Learn to carve your own spoon from freshly cut wood in a small group, in our woodland environment. 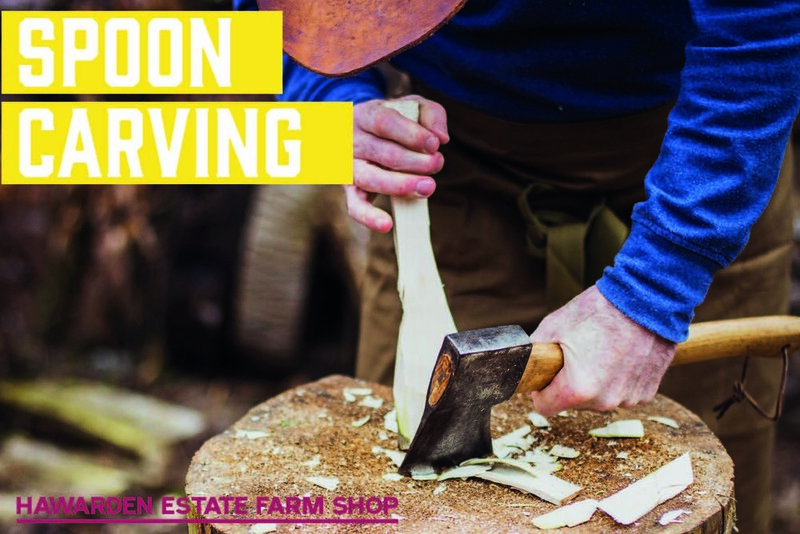 Learn the skills needed to use an axe, knife and hook knife to carve your own spoon. High-quality green woodworking tools and workstation provided. Course run by local expert maker David White. Notes provided on wood choices, tool purchase recommendations. Course kept to cosy maximum of six participants. Make this Mother’s Day the most special one yet . 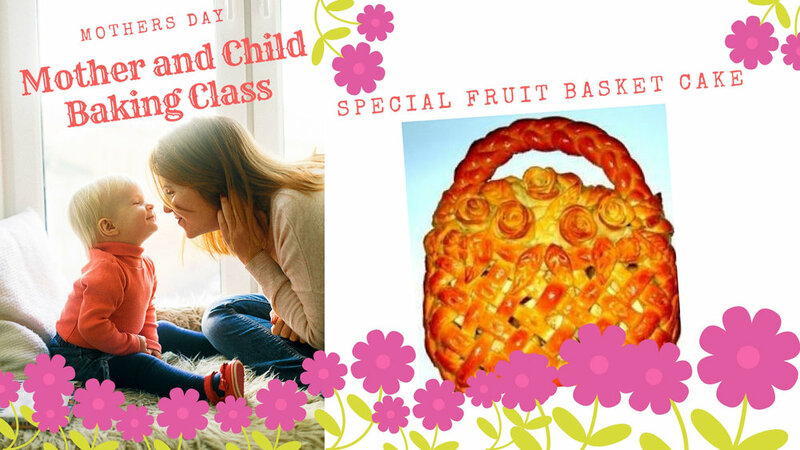 The Minimakery will be running hour long workshops for your children to craft the most beautiful, handmade gifts for the special women in their lives. Hawarden Old Castle will be open on Sunday 24th March for the arrival of the daffodils! 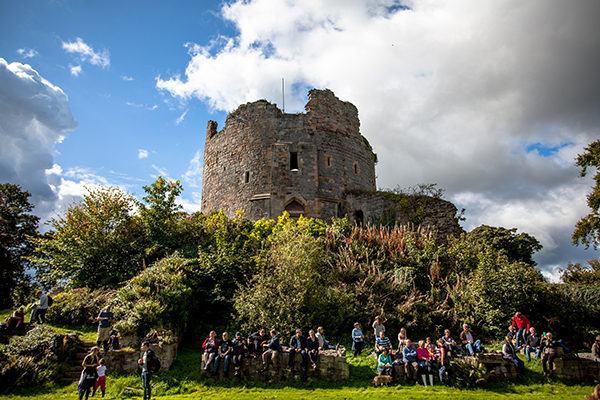 Hawarden Old Castle will also be open to the public on Sunday 19th May, Sunday 16th June and Sunday 11th August. Take away the headache of what to get and you’ll be ahead of the game as you’ll be organised a whole week before Mother’s Day! Due to popular demand, we will be holding a Young Butcher's Class on a Saturday morning here at the Farm Shop. Saturday 23rd February, 9.30am start for an hours class. 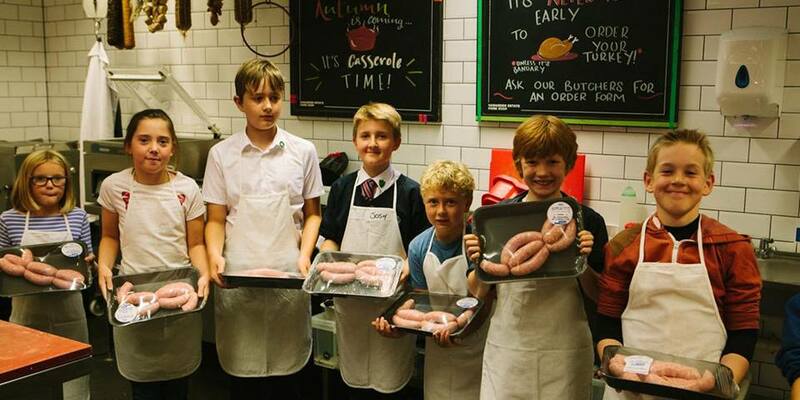 The Young Butcher's will be making sausages and get to take home what they've made at the end of the class. Jay will be leading the workshop and we have space for just 6 Young Butchers, so book quick! This is suitable for ages 7+. Join us for the fourth edition of our 'Landscape Series', where we will be hosting SEA | Supper Club. Unlike our previous three landscape supper clubs where we served a three-course menu, we will be a creating a five-course menu of slightly smaller plates as we thought that there are so many amazing ingredients in and around our sea landscape that we wanted to try and incorporate as many as possible through five dishes. There will be lots of fish, shellfish and foraged sea-plants to wet your appetite and an arrival cocktail will be awaiting your arrival as usual. Please let us know about any allergies well in advance of the supper club date, thank you! We hope you can join us for a wonderful evening celebrating our sea landscape and its edible delights! An introduction to Mindfulness with nature as an aid and stimulus for learners to improve their health & well-being through a stronger connection to ourselves and nature. Our qualified and experienced tutors will take you through a range of activities aimed at giving you techniques to take forward in practising Mindfulness in your own time. All this will take place in the grounds of the Harwarden Estate against the backdrop of the woodlands, orchards and fields. This session is suitable for anyone over the age of 18. The class runs for 3 hours, from 10am until 1pm and costs £30 per person. Needle felt a Quirky bird with artist/maker Ruth Packham. Using British wool fibre, you will spend the day designing and making your very own quirky bird. This workshop is suitable for adults. Experience is not necessary, although some might help. Be prepared to sit for a long period and to bring your glasses if needed. You will be in a warm, comfortable and social environment. Each ticket includes a lovely lunch from the Farm Shop, tea, coffee and cake. Party like it’s your birthday with The Mini Makery. This hour-long morning session will include everyone’s favourites; slime, slime jewellery, scented magnets and a personalised party bag to take your handmade goodies home in. ”Due to the high demand for our parties, we thought it best to offer out a Mini Makery party for all to experience! No birthday required! Grown-ups are welcome to wait and enjoy an hours peace, put your feet up and enjoy coffee and brunch in our café. Tickets are limited and heads-up - these guys always sell out. The votes are in, the prize is ready, now we just need to announce the winners! We'll have a face painter, marshmallows to toast all in celebration of the finest collection of scarecrows around. Kids will also build their own campfires and create their own camp cooking gadgets from natural materials to grill, fry, bake and boil a range of tasty treats. 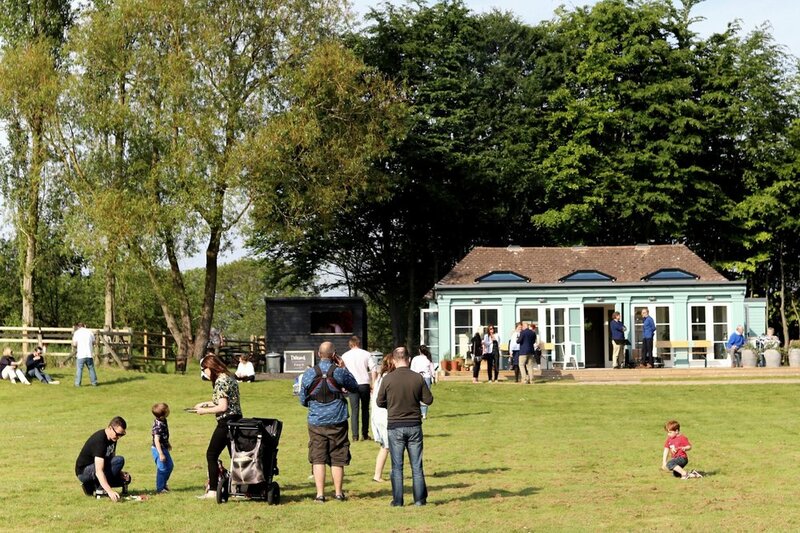 All this will take place in our bushcraft basecamp within the grounds of the Hawarden Estate against the backdrop of the woodlands, orchards and fields.